So for the past 2 weeks or so we have huge forest fires here in British Columbia. 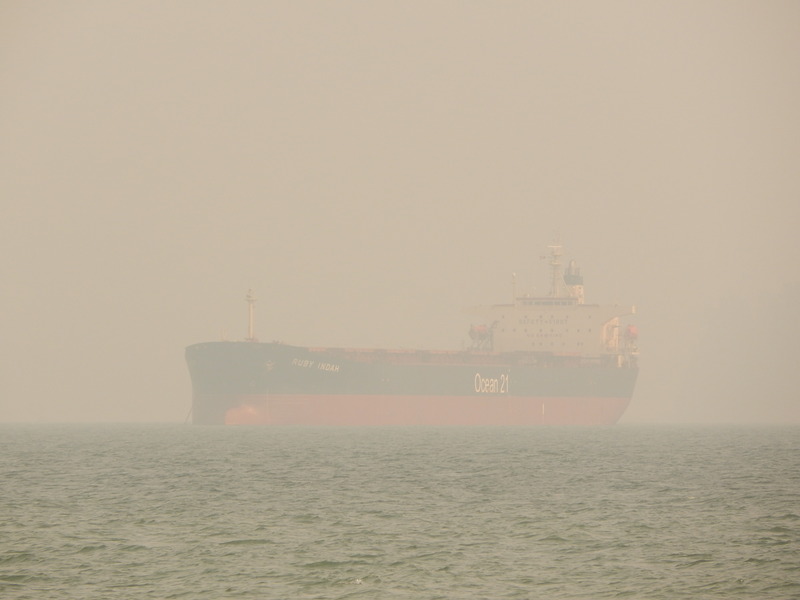 Most of the province is covered in smoke. Here is what it looks like on the shores of English bay. BTW, how can I make the photos smaller? Sad to say, wildfires everywhere are now the new normal and probably will be every year until we get an effective correction of our ongoing climate change. Seeing you're photos I'm quite concerned about air quality though... but judging from your post you seem to be fine. So I take my time and wait for your excellent photos to come again when this crisis is over. Photos were taken from Jericho beach in Vancouver, British Columbia, Canada. Hi Jens, the air quality is quite bad and people are advised to stay inside, especially the elderly and those with respiratory conditions. Seriously, this is not the circumstances usually encountered in Vancouver, BC, which I remember as having beautiful clear skies. As for the resizing of photos, I use Fast Stone viewer. I tried to edit your photo a bit, using autocontrast in Picasa, but the result was very weird - this smoke really destroys the chance of a good photo. Using ACDSee which has a Dehaze function and further manipulating with orange and yellow colors, I got this. 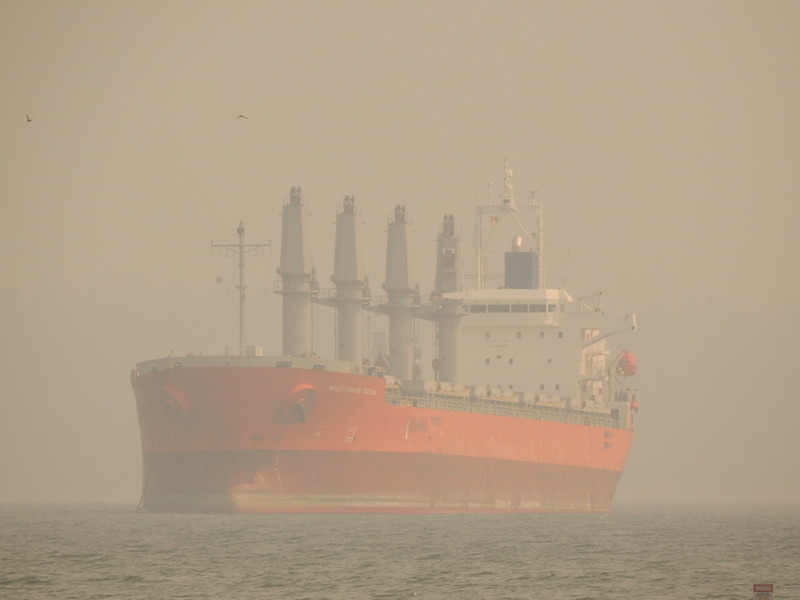 the ships become sort of recognisable, which also emphasises the poor air quality the Vancouver seems to be currently suffering from. And just to make sure, these are still not good photo's but if this would have been a picture of a ship that I had never seen anywhere pictured before, and had been frantically looking for, I would be quite happy to find it. I sympathise with all living creatures in BC. The small town of Yarloop was wiped out by fire in 2016 lives were lost. Here is a typical day in the harbour during burn-offs. Agree with you. The ship is recognizable but not something I would post.